George Martinecz joined RKF as a Canvasser in 2015. He is now an Associate focusing exclusively on identifying new business opportunities, monitoring property markets and underwriting assets for the investment sales team in the New York Metropolitan area. Most recently, George was a part of the team charged with disposing of the NY REIT Portfolio of retail holdings. He was also involved in the sale of 1151 Third Avenue for $27 million on behalf of Acadia Realty Trust. Other notable transactions include the sale of a vacant NoMad retail condo at 241 Fifth Avenue for $10.3 million, a Lower East Side development site at 330 Grand Street for over $500 per buildable foot and a 9,050-SF standalone retail building at 500 Mamaroneck Avenue in White Plains, NY for $5.15 million. 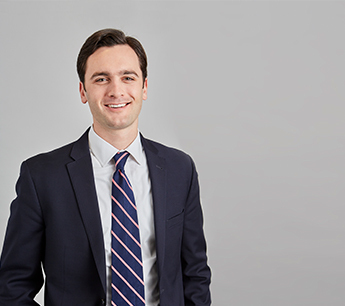 His first transaction, the $10.3 million sale of a mixed-use property at 292 Atlantic Avenue to BFC Partners, came within six months of his promotion to Associate. George earned a Bachelor of Science Degree in Business Administration from the Sellinger School of Business at Loyola University Maryland. He is a licensed Real Estate Salesperson in the state of New York and a member of the International Council of Shopping Centers.